In the majority of Australian States, including Queensland, new legislation for smoke alarms that comply with Australian Standards are compulsory in all rental properties. This legislation has arisen, following the devastating Slacks Creek fatal house fire in 2011. Smoke Alarms save lives! They are a necessity in your home. In Queensland, 75% of fire deaths at home occur in homes that do not have a working smoke alarm. 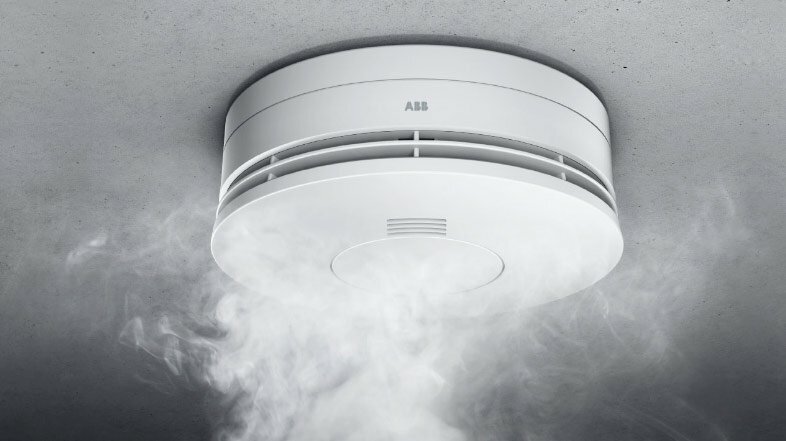 Fire and Rescue services throughout Queensland are advising homeowners and landlords of rental properties, to install the new photoelectric smoke alarm. Any smoke alarm being replaced after January 1, 2017 must be a photoelectric alarm. This photoelectric alarm has the potential to save more lives, as new technology identifies smouldering and slow burning fires earlier than the older type of ionisation smoke alarms. Check out which type of smoke alarm you currently have – the older type, ionisation alarm has a black and yellow radiation symbol, whereas the new photoelectric alarm does not have this symbol. The new alarms can be purchased from any electric retailers and wholesalers, with a price comparable to the common ionisation alarms. All houses being built or significantly renovated will need to comply with the smoke alarm legislation upon completion after January 1, 2017. All houses leased or sold will need to meet compliance after five years and all owner-occupied private dwellings will need to comply with the legislation within 10 years. Landlords are accountable for supplying and installing the smoke alarms. In addition, a new battery must be installed at the beginning of each new tenancy. Under current law, it is your responsibility to ensure that your unit or home in Queensland has a working smoke alarm fitted, with no exceptions.